In our brand new documentary film Seeds of Justice, we follow Ethiopian plant geneticist Dr Melaku Worede’s inspirational work to re-valorise farmers’ knowledge and protect their position as guardians of seed diversity. 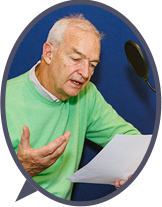 Seeds of Justice is narrated by Channel 4 newsreader Jon Snow and completes a trilogy of documentary films first released in 2012 with Seeds of Freedom, narrated by Jeremy Irons. Treading in Dr Melaku’s footsteps from his youth to the present day through his pivotal experience of Ethiopia’s infamous famine, the film questions one of the most flawed assumptions propagated by the agro-industry: that scientists hold the answers to ending hunger, not farmers. From the plains of Ethiopia to the halls of the UN Food and Agriculture Organisation in Rome, Dr Melaku’s quest to rediscover and valorise farmers’ knowledge reveals a different truth: that putting control over seeds back into the hands of farmers can make our food system healthier, more resilient and more just. Through interviews with Dr Melaku, his collaborators and Ethiopian farmers, Seeds of Justice demonstrates that farmers, as the custodians of generations of agricultural knowledge, are first and foremost scientists in the field, and that it is their knowledge which holds the key to climate resilient food and farming systems. Charting Melaku’s successes pioneering local seed banks and participatory plant breeding alongside farmers, the film reveals what can be achieved when science is united with farmers knowledge, rather than placed in the service of agribusiness.